How many bills do you have to pay every month? If you sat down and listed out all of your bills from memory, I bet you’d miss one or two. Some bills change every month. They can be due on different days, be for different amounts, and they can even hit you with huge late fees if you let one slip through the cracks. It can feel like a stressful full-time job just to make sure you’re paying your bills on time every month. Steve Gordon, VP of Product at Handle Financial, was sick of wasting his time paying (and sometimes missing) bills. Steve was instrumental in developing a platform called Prism that allows people to not only keep track of all of their bills within one place, but to pay their bills more quickly and efficiently as well. In this episode of Payments Innovation, we talk to Steve about outdated methods of tracking bills, building the Prism platform, the benefits of Prism, and how to get started with the App. The first is manually logging into each one of your biller’s sites and paying your bill every month. This is the most common method these days, and it comes with somes pros & cons. By logging in manually, you are able to keep track of the amount of each individual bill and have your account credited immediately, but it is a time consuming process that forces you to rely on your own memory. The second method is using your bank’s Bill Pay option. Especially for the younger generation, this process is not intuitive. You need to track down exactly what you owe every month if the amount changes in order to place it into Bill Pay, and your biller will not receive your payment for a minimum of a few days. That is assuming you filled out all of your account information correctly and there is no problem with your payment. Prism is an an on-demand, all in one app for managing all of your bills in a single place. It provides real time information and automatic notifications when bills are paid. The dashboard allows you to see all of your bills for the month and set up payments all directly through the app. The utility of this platform is greatly diminished if only some of your billers are available to be paid and not all of them. Prism supports 11,000 billers at this point, but that is just the tip of the iceberg. Steve estimates that the number of digitally payable billers in the US is around 50,000 and Prism aims to support more and more of these as the years go on. Prism aims to be a one stop shop for all of your bills, so Steve and his team are working to spread the news about all that Prism can already do and what it can do in the future. There is an ever increasing expectation for seamless user experiences throughout most industries these days. In other words, people want technology that makes their lives easier, regardless of industry. But in the bill paying space, there has not been a lot of technological innovation over the past few years. 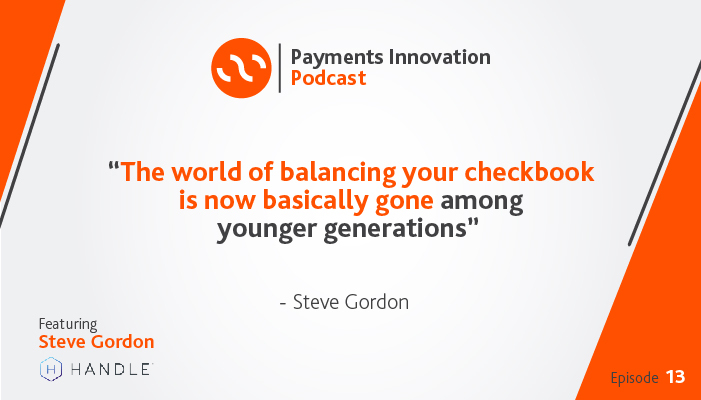 As Steve says, “The world of balancing your checkbook is now basically gone among younger generations.” The next thing to go is probably going to be the world of Bank’s Bill Pay systems, which is basically just the digital version of a checkbook. So what is the next evolutionary step, and what true innovation does Prism provide? The first step that Steve and his team have in front of them is getting the word out that there is a better option than what people have been using to pay bills. There is a tipping point that many adults encounter a few years removed from college. Their lives become more and more complex and so do their bills. Weddings, houses, and children all add their level of challenge when keeping up with bills. Prism aims to reach people at this point; to help them realize putting all of their bills into one platform will help them pay for bills on time and reduce stress. As mentioned above, Prism is constantly supporting more and more billers, which is a huge benefit to individuals. And Prism is all about providing various payment options for their customers. For example, Prism can allow you to pay your small local utility company digitally through the platform instead of sending out a check every single month. For a small fee, you can pay your bill to this small utility company on your own terms, like paying with a credit card. Prism will pay this company for you in the way the biller likes to be paid, so everyone is on the same page. Your biller gets paid the way they are used to and you get to pay however you want. Steve’s goal was to make the onboarding process for Prism as seamless as possible. Once signing up for an account, you enter in your physical location so you can see which billers are available for you to use. You then connect billers with your Prism account by logging into each billing account. You can pay with your credit card or bank account right from the app. Prism works with the biller to take care of the bill the exact same way you would if you dealt with the biller yourself. Prism does not take long to set up and is available across a host of devices and platforms. Check it out for yourself here! This post is based on a podcast with Steve Gordon. To hear this episode, and many more like it, you can subscribe to Payments Innovation podcast on iTunes. If you don’t use iTunes, you can listen to all the episodes here.